It is truly amazing just how many great stories you can discover here in Malta – like tightly packed layers of history stacked on top of each other, with only the topmost visible. Only part of the island’s unique built heritage fit into the streets and squares. But history went underground here for more reasons than because it ran out of space up top. 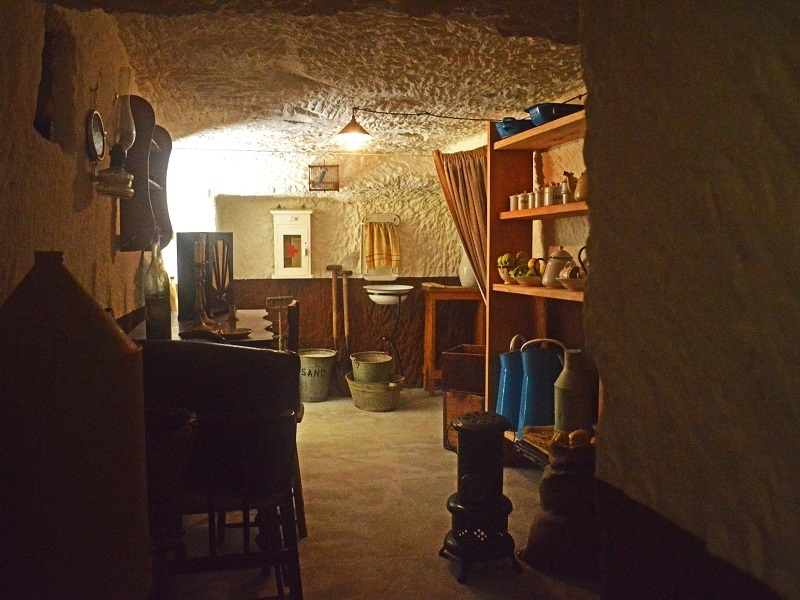 Subterranean activity in Malta started with Neolithic settlers more than 7,000 years ago, some of whom lived in natural caves like Għar Dalam (the Dark Cave near Birżebbuġa). Would you believe that cave-dwelling proved so popular that families continued to live underground, in Għar il-Kbir (the Big Cave near Rabat), as late as 1835? would carve grain silos and tombs out of the rock, some of which are still being rediscovered today. After the Romans included the islands in their empire in 218AD, they created some of the most striking and extensive underground structures. They include mazes of catacombs in Rabat (such as St. Paul’s) and intricate subterranean passageways that collect fresh ground water. With the arrival of the Knights of St. John in 1530 another period that brought a flurry of underground activity began. You can easily spot their grand auberges and palaces in Vittoriosa, Mdina and Valletta, but their secret casemate vaults, extensive tunnels and cisterns are well hidden and rarely seen. Below the surface, Malta’s capital looks like a Swiss cheese with a wide range of subterranean spaces created for different uses. When the knights began construction of the new defensive capital city in 1566, Valletta was engineered to be both an impregnable fortress and a modern living city. A dense network of 450-year-old drainage tunnels mirrors the rectangular street grid above, both of which were innovative and rare at the time. The tunnels’ extensive, rarely-seen and fabled character has led to rumours of some of them being wide enough for the knights to ride in their carriages. While this is intriguing folklore, the capital’s true underground world needs no such embellishment. One of the city’s public water reservoirs for instance, a tall, arched vault hidden beneath Republic Street, is so vast and soaring, it was nicknamed the underground cathedral. Fast-forward to the outbreak of the Second World War when hundreds of air-raid shelters were frantically but systematically carved into the rock all across the islands. It is difficult to imagine today how tens of thousands of people at a time sought refuge underground, during more than 3,300 enemy air attacks. While most of these shelters were bricked up in the 1950s and largely forgotten, some of them, such as in Birkirkara and St. Julian’s, have been reopened to the public on special occasions. And subterranean history doesn’t end there either. During the Cold War, several emergency flour mills were constructed beneath the surface in locations such as Xemxija and Xlendi, and a nuclear-proof bunker was dug deep into the ground near Mosta. To this day the digging hasn’t stopped and Malta’s fascinating subterranean world continues to grow. Among my favourite subterranean spaces are the hidden and forgotten passageways and vaults beneath our feet, which are slowly being rediscovered in Valletta’s Fort St. Elmo and in the Three Cities. There is an amazing, extensive slice of history waiting to be revealed along with the fascinating stories of the people who built and belonged in this underground world.